Our meal delivery service is part of Bridges Home Care and is living up to our hallmark brand of quality, reliability and choice. We are offering hot and cold meals delivered to your home, 365 days a year, 7 days a week. If you need help to cook wholesome tasty food, our service is for you. Whether you need help every day or on a particular day in the week; in the long term or just for a short period of time while you adjust to an illness or a bereavement. Order your meal when you need it – every day, or once a week. Our delivery is free of charge and a contract is not required. Your order can be changed or cancelled with just one call or email before 10am. We deliver meals 365 days a year, 7 days a week. Choose from our new menu, expanded as you requested. 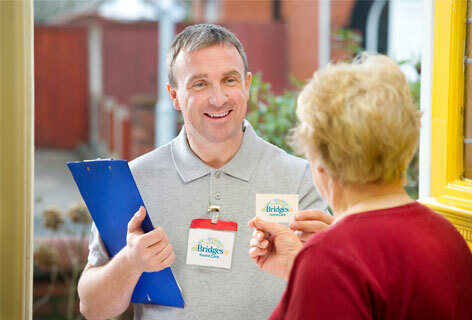 Bridges Meal Delivery Service is part of Bridges Home Care – a tried and trusted home care service. All meal deliveries are managed by our experienced call centre. Your meal will be delivered individually, by a colleague trained in health and nutrition, wearing our Bridges uniform and carrying identification. * Call us on 01491 578 758 to discover whether we deliver to your area.